The English Premier League, EPL, have agreed in principle to start using the Video Assistant Referees, VAR, in the 2019/20 season. The decision was made after a vote from all the twenty clubs in the English topflight league on Thursday. 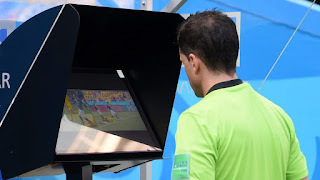 A statement on the Premier League’s official website read: “Premier League clubs have agreed in principle to introduce Video Assistant Referees (VAR) to the competition in the 2019/20 season. "At a Shareholders’ Meeting today, clubs were provided with an update on the non-live VAR trials being undertaken by the League and Professional Game Match Officials (PGMOL) this season. “The Premier League’s non-live testing programme will remain in place for the rest of this season, with a continued emphasis on those Saturday afternoons which have several matches being played concurrently, and developing a clear protocol for communicating VAR decisions to fans.